Sooz’s Guide to Revisions, Lesson 1: What the heck did you write? If you saw the post on Wednesday, then you know where we’re heading with revisions. First, we have to make revision goals. To do that, we have to establish what you WANT to have when you finish revising. But to do that, you have to first know what you ACTUALLY have. 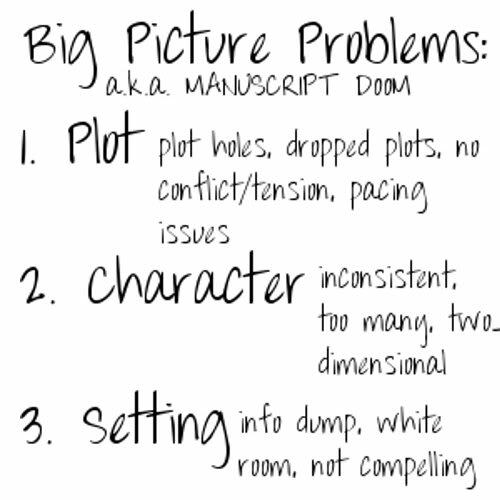 We’re going to figure this out by reading our novel and making note of big picture problems. 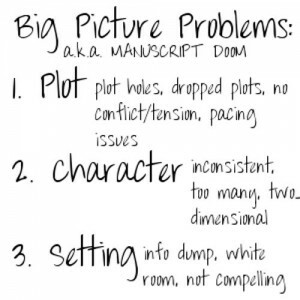 Big picture problems include anything that require more than just a sentence tweak or dialogue-tightening. These are the pieces of the novel that tell the story–the skeleton and muscle of your book. So, let’s dive into this very first lesson, shall we? I’ll walk you through it step-by-step. Also, if you want to print this out or save it, I will make it available as a PDF on the For Writers page. So what the heck did you write? 2. Read through the entire manuscript in one sitting (if possible). 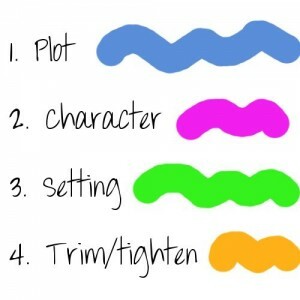 You want to read the whole thing together because everything will be much fresher in your mind, making plot problems, inconsistencies, etc. easier to spot. Find a nice, uninterrupted spot to do this. If you can’t read the whole thing at once, then try to do it with as little time between readings. I learned this the hard way after spending MONTHS editing small things that wound up being removed. Just like working if you were working with a publishing editor, you will do line-edits and small stuff LAST. And so, my friends, we are finished with Lesson 1. It’s a lot to absorb and a lot of work—I don’t expect you to rush through it! But, if you’re finished by next Monday, then get ready for Lesson 2! 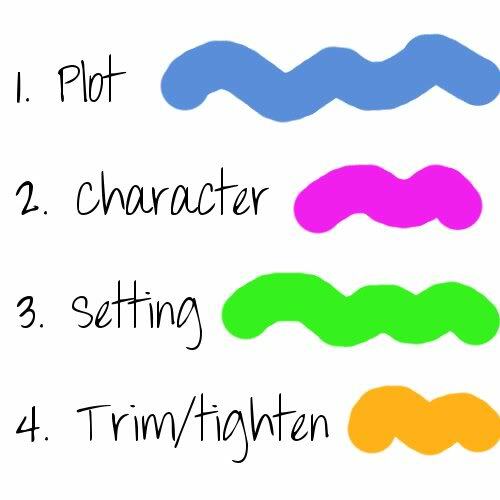 We’ll be setting our goals and planning The Perfect Book. Now, get head on over to the worksheets and get started finding your big picture problems! In Lesson 3: On Monday, we’ll be getting organized! This involves breaking that manuscript into manageable, bite-size chunks. And if you have ANY questions, ask them in the comments! !